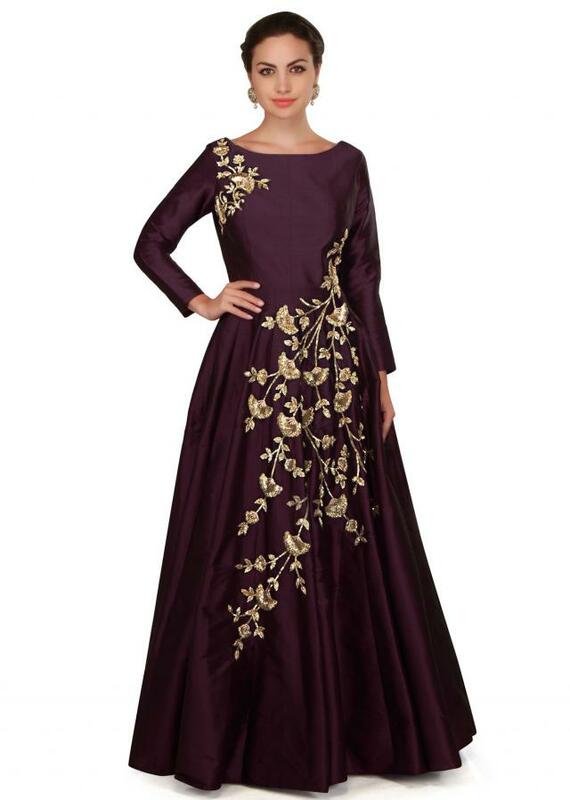 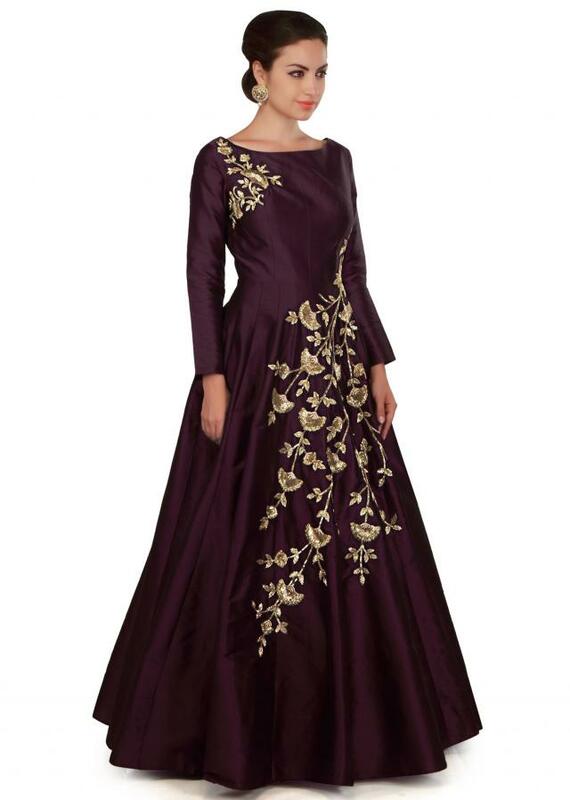 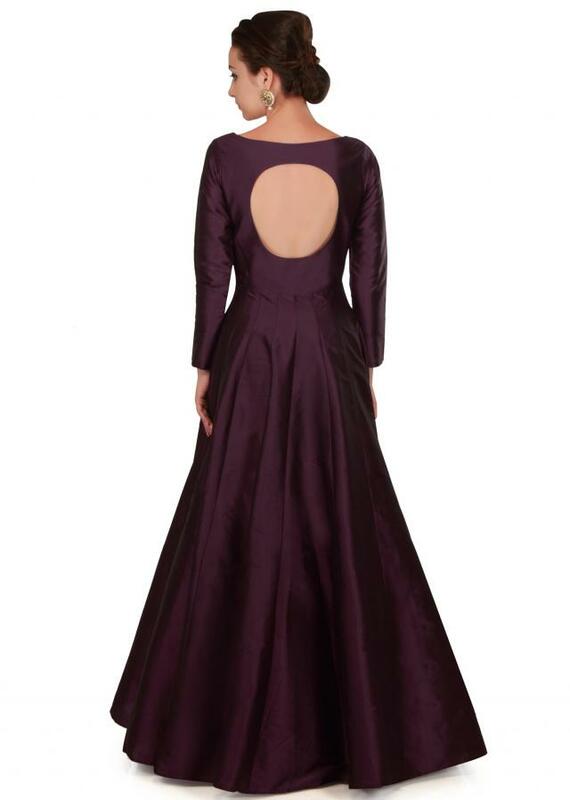 ‌Dark wine gown featuring in silk. 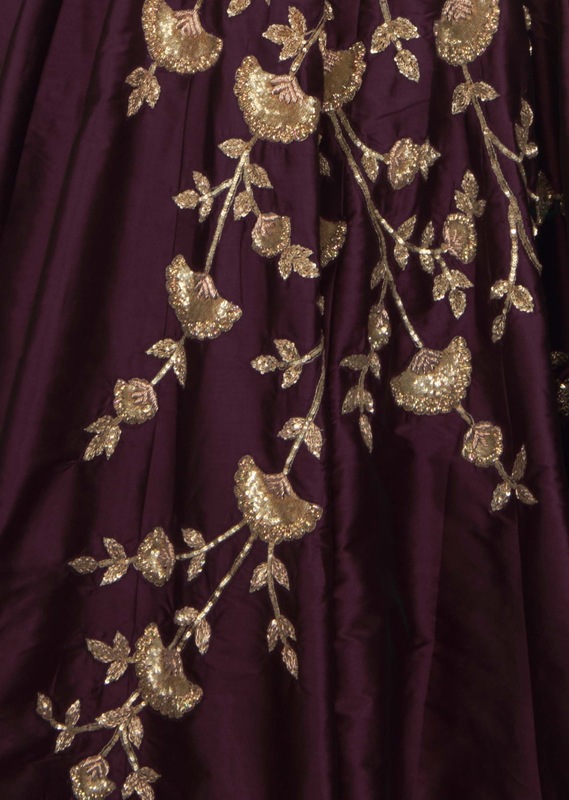 Yoke and waist line are embellished in zardosi and kardana embroidery. Enhanced in boat neckline and full sleeve.